Maco PKG brings you easy-to-use and highly efficient wicketed bags for your specific packaging requirements. Wicket bags, available in printed or plain design, provide a low-cost method for filling bags. To achieve maximum efficiency, we coordinate automated packaging in groups of 100 to 250 bags. For custom-made wicketed bags, we use automatic, semi-automatic and manual load applications. Wicketed bags are most commonly used for packing food, such as ice, apples, potatoes, apparel and meat. If your requirements insist on automatic or semi-automatic packing, wicketed bags provide an easy answer. With a wide range of sizes, thicknesses and substrates, we manufacture according to your specification. Some of the available options for wicketed bags are headers, tear starts, header seals, bottom gusset, flat bottom, perforated lip and your choice of header size. 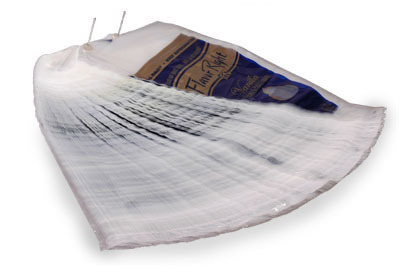 Many industries prefer Maco PKG’s wicketed bags for several reasons. We promise durable, high tensile strength as well as environmentally friendly materials. We ensure a high sealing strength coupled with optional punch out handles. We provide both plain and printed bags. Our wicketed bags work efficiently on packaging machines, which increases manufacturing savings. In addition to meeting all FDA and USDA specifications for food contact, Maco adds several other options for your wicketed bags. We provide Ethylene Vinyl Acetate (EVA) for adhesives, Volatile Corrosion Inhibitor (VCI) to prevent corrosion, and Ultraviolet Index (UVI) to protect your product from UV rays. We thought of everything to create a model wicket bag that meets all your needs. No matter what your industrial requirements are you can always rely on Maco PKG. We constantly strive to provide precise manufacturing of wicketed bags in any production size and specification requirements. We provide high-quality packaging for your product in the most innovative and cost effective way.